I'm back from LA in my usual quick trip fashion. My husband and I do this so often that people wonder how tiring it is for us. To be frank - it is incredibly tiring! There's no sugar coating how much it is, but for us it is worth the whirlwind. Family and friends are just very important to us. Lucky for us, the closest members are still within state lines. I know it isn't that way for a lot of people so we're grateful for that. 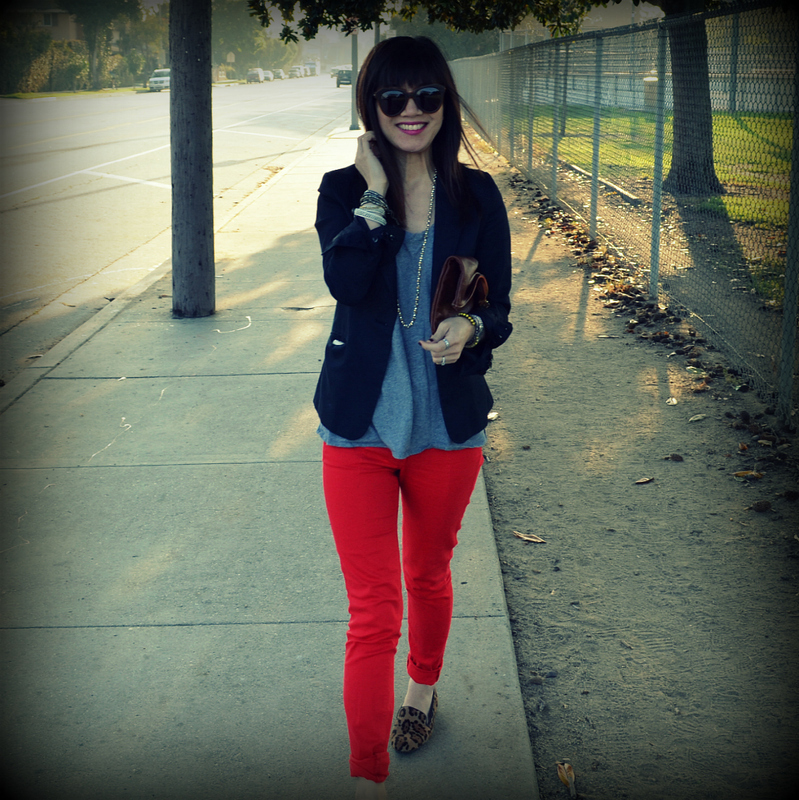 This weekend, we were just ordinary folks within the City of Angels and enjoying the sunshine. We hoped for warmer weather but it was pretty cold - even by SF standards. We spent a lot of time outdoors and the simplicity of this weekend was just right. We saw various people on the streets excited for the Oscars and overheard conversations of people heading to the "post party" for the very first time. The energy in the city during awards season is so different compared to other times of the year. I hope you all had a lovely weekend as well - did you enjoy the Oscars?! 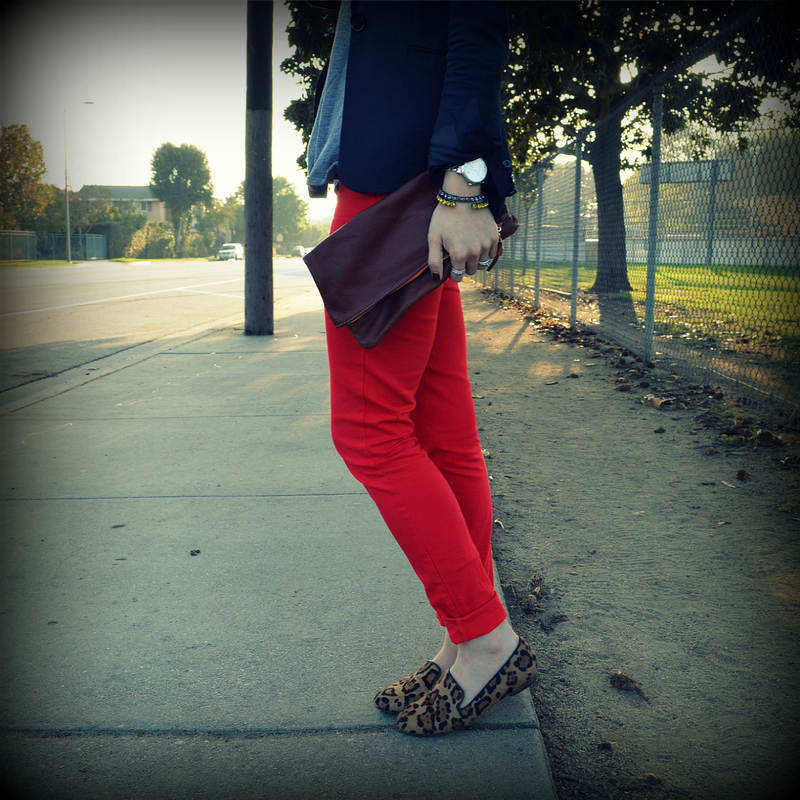 Red skinnies with leopard flats - perfect Friday combo. Love! Soo cute Nancy!!! Equally loving your red pants!!! i loveee the red!! i should really get a pair for myself but its always raining and cloudy here in vancouver ): don't know if it'll look so nice lol! You have such a lovely blog! This is such a simple yet chic outfit. The sunnies and clutch are so cool! I know I already said it. :) the new hair is KILLER! !